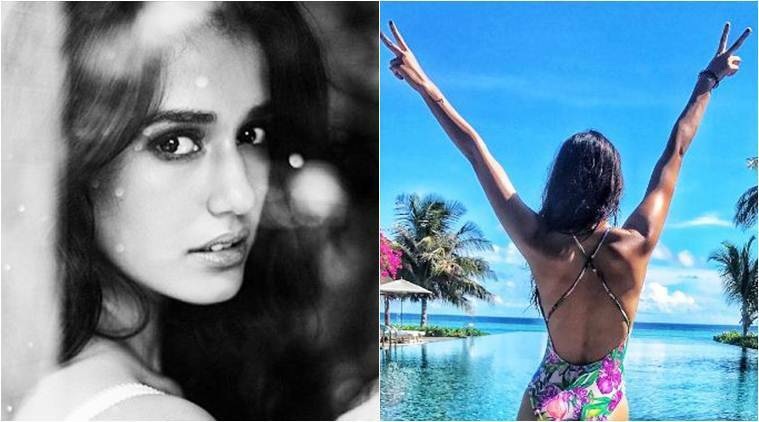 MS Dhoni- The untold story actress and Tiger Shroff’s girlfriend Disha Patani’s hot floral swimsuit piture is breaking the internet. MS Dhoni: An Untold Story star has given us a reason to stay glued to her Instagram profile. Disha has shared picture where she is seen welcoming the calmness of the ocean with open arms. The beauty queen has been breaking the internet with her hot pictures and the latest one on the list is this picture where Disha was spotted sporting a floral swimsuit. In the picture shared by Disha, she is seen wearing a floral swimsuit. But what we are missing here is her beautiful face and her radiant smile which has always been a prerequisite of her other scorching hot photos. After looking at the picture, you might have this urge of telling Disha to turn around. The internet has gone crazy, Too hot to handle it is.